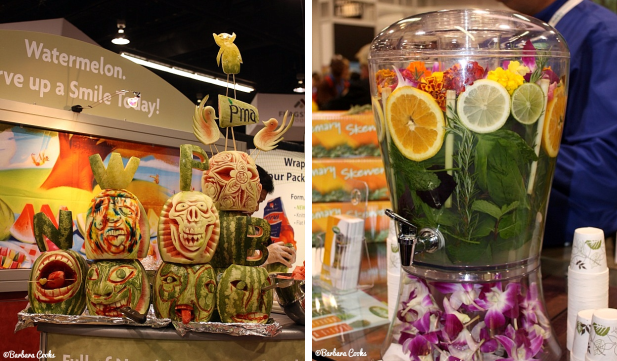 This year, I had an amazing opportunity to attend the PMA Fresh Summit along with 30 other food bloggers. What is that, you may say? Well it’s only the world’s best expo for fresh food and produce! 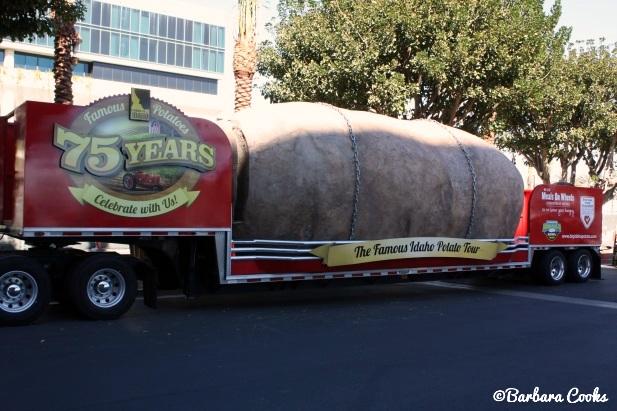 Thanks to the Idaho Potato Commission, I received an all-access pass to attend the educational sessions on Friday and experience the expo floor of the Anaheim Convention Center on Saturday and Sunday. I have never seen such beautiful produce, impressive booths and displays and delicious food preparations all in one place. It was definitely a delight for the senses. I am kind of a sucker for samples and I do admit to having shiny ball syndrome from time to time. Guess that’s why i get along with my cat so well! Everywhere I turned, I was trying an apple, kale chips, tacos, fresh lettuce, avocados, sprouts, sorbet, sushi… and everything I had was made with the best of the best. I met up with some amazing other bloggers and companies. Although traveling the ENTIRE show floor more than once did a number on my feet, it was truly one of the best foodie experiences I’ve ever had. I saw many old favorites and also discovered some new products and even [gulp] new produce I have never seen or tasted before! Check out these amazing little finger limes. 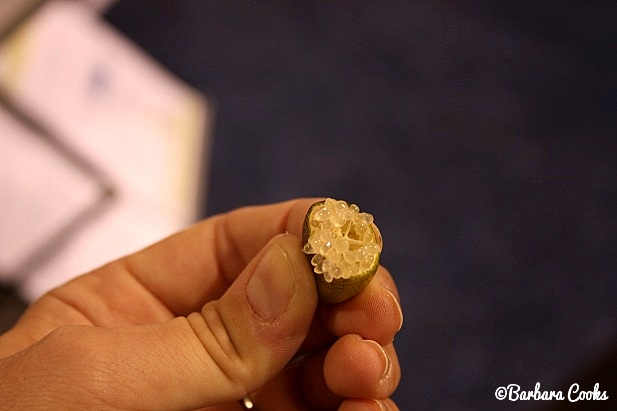 Just slice and squeeze out adorable limey caviar! YEP! That’s me with the Ocean Spray Cranberry guys. They were really funny and so gracious to pose with so many people all day. 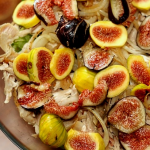 I will be making some recipes with my new-found items so stay tuned! 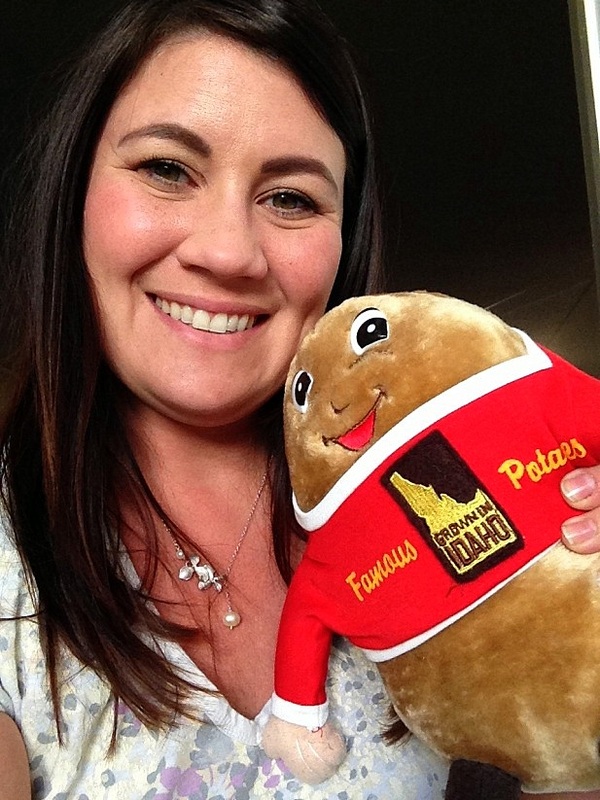 A big thanks to the Idaho Potato Commission and PMA for being so gracious and sponsoring all of us! Looks like you had an amazing time! What a great opportunity. 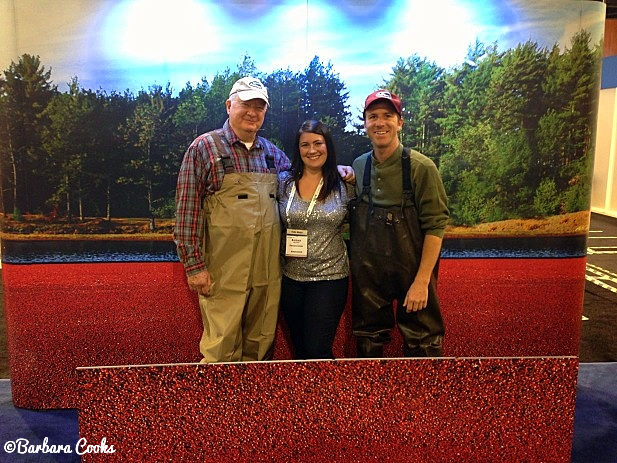 I just love that you met the OceanSpray cranberry men, Haha!